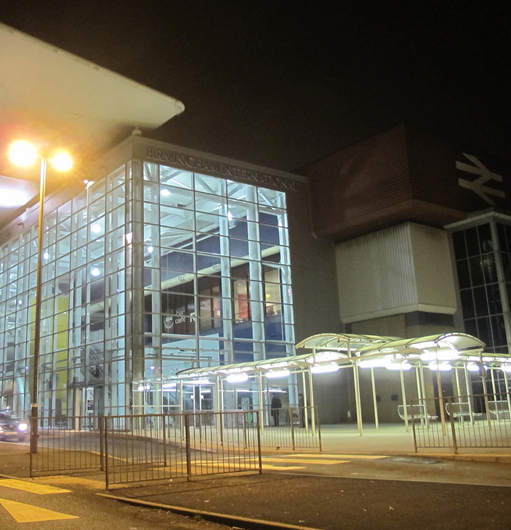 Birmingham International Station is the train station that services Birmingham Airport and the NEC (Genting Arena). As the largest taxi fleet within a 5 mile radius of the airport, TC Cars offer an extremely reliable and responsive Birmingham International taxi service. You can get a taxi quote now using our taxi fare calculator. You can call 0121 770 2000 to book now, or book via our taxi booking app. TC Cars are licensed by Birmingham and Solihull Councils. With 20 years of experience, hundreds of drivers and the largest fleet within a 5 mile radius of the airport; you know you’re going to get a super responsive and efficient taxi from TC Cars. Call 0121 770 2000 to book a Birmingham International taxi today.